Which platform to choose? Which will satisfy the client’s needs completely? Are there any loopholes in using a certain tool? Should the traditional hand coding be used or should we opt for a Content Management System? I hope, by the end of this blog, your confusions on this subject will be cleared. Manual coding, or hand coding as it is also known, involves functional code or layout directions in the basic language in which they are compiled. It helps you to reach full potential with the realisation of a web page that is made to fit the client’s needs. It comes with its own advantages. Better control: Hand coding acts as an advantage when creating a web page template. You have control over very small files that are quite a challenge while using a CMS. High price: Hand coding, as the name suggests, is completely manual. This implies that it takes a lot of time and anything that utilises more time requires more money too. Long hours of debugging: It takes a lot of time to not only find errors but also to fix them. Thus, a developer has to be very careful while coding as risk is at the peak. A CMS or Content Management System is an uncomplicated tool that allows you to control and manage the content within your website without necessarily having technical skills. You can easily add and delete images, links, presentation links, and other content on your website. 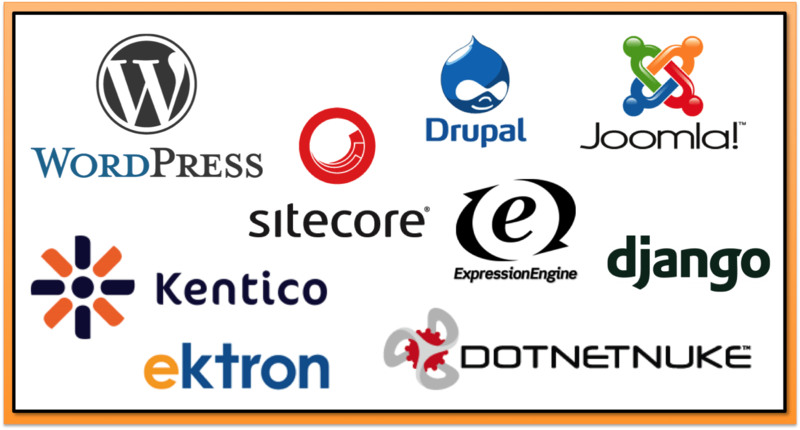 Convenient programming: This is the foremost quality of a CMS that allows you complete independence — you do not have to turn to a single programmer for management or implementation of the structures. Multi-user management: CMS can be managed by many users, so offering different possibilities for action within the structure, depending on the permissions that are assigned to them during the registration process. Ready-made template: CMS comes with the choice of several ready-made template graphics that can be used for various purposes. Minimum errors: A CMS is safe and the possibility of errors in its programming is very little. You will hardly find challenges while working with an open source CMS application. Security: Hackers can easily attack a CMS-managed site to find system programming bugs. Thus, it is important to keep your CMS updated and keep monitoring it for risks of intrusion. Inconvenient customisation: Yes, you have the choice of thousands of graphics, templates, and plug-ins, but it is still not very convenient to modify them according to your needs. The conclusion is simple. You just have to choose between hand coding and CMS depending on the requirement of your website. Nagendra Boopathy is our Microsoft Lead Software Engineer. He has a master’s degree in computer applications MCA and over 11 years experience in the IT field. He plays a key role in Influx’s design and development of cinema websites, kiosk-based applications, and third-party integrations.